This article is more than 3 years old. Please read this page keeping its age in mind. Larissa Jones has marked the start of her year as Junior Captain at Shrewsbury Golf Club by driving a ball down the fairway of the first hole. Larissa has been a Junior member of the club since 2000 and is proud to be elected Junior Captain. 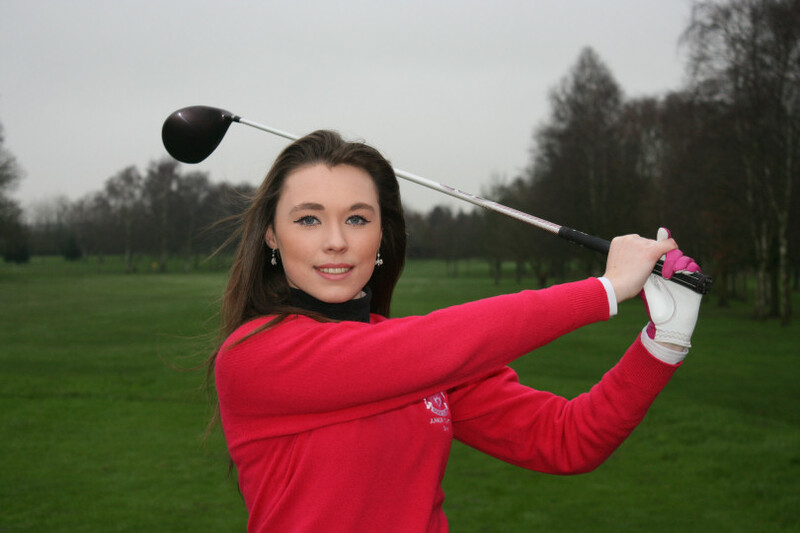 She hopes to lead the Club’s junior team to success in the Handicap League competition this summer and to encourage more juniors, particularly girls, to take up golf. Larissa Jones began playing golf at the age of 10 after walking around the golf course with her parents watching them play. “It looked good fun, so I asked whether I could have a go. After my Dad showed me the basics on the practice ground, I had some lessons with Shrewsbury Golf Club’s professional, John Richards, and then began having fun on the course,” recalls Larissa. Larissa joined the junior section and through playing regularly began to improve her handicap. She now plays off 12. While studying maths, biology and psychology at Shrewsbury Six Form College she is practicing hard in her spare time to reduce her handicap further. “I really want to work in the golf industry, possibly teaching, so I’m training to improve my golf with a view to reaching 5 or less this year. That means I can then consider training as a teaching golf professional,” says Larissa. During her year, Larissa is keen to encourage the Club’s juniors to do well in inter-club competitions, such as the handicap League. She has played in a range of inter-club competitions and represented her County, so she plans to bring her experience to the team. “During my year I also want to encourage more juniors to take up golf. It’s a fun game and you get to meet very nice people and play courses across the country as a junior member at Shrewsbury. I also want to get more girls playing the game. When I joined I was the only girl. The boys are great, but this is such a fun game for girls to take up, I want more girls to try it,” explains Larissa. Larissa is proud to be Junior Captain. “Because I’m seventeen, I will leave the junior section next year and join the ladies section, so I’m really proud to be the figurehead for the Junior Section this year. I love the junior section and have had many years enjoying playing golf and making great friends. I’m looking forward to a great year,” says Larissa.